DPV's offer a thrilling way to see a lot of underwater territory in a brief amount of time. They scoot you through the water without kicking. Want to visit that offshore reef from the beach? A DPV may be the way to go. 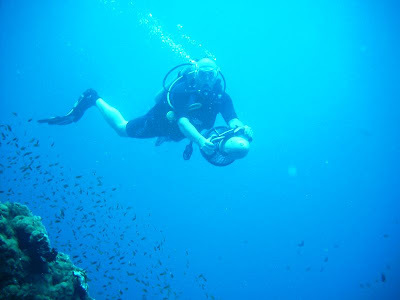 Here's a picture of one my students participating in the PADI DPV Specialty. 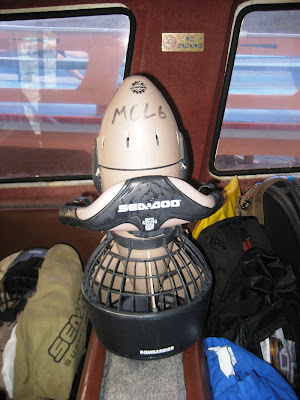 This shows a DPV as we use them in our dive centre, a SeaDoo sea scooter. The specialty is a lot of fun and gives you the opportunity to discover larger areas or get somewhere faster.